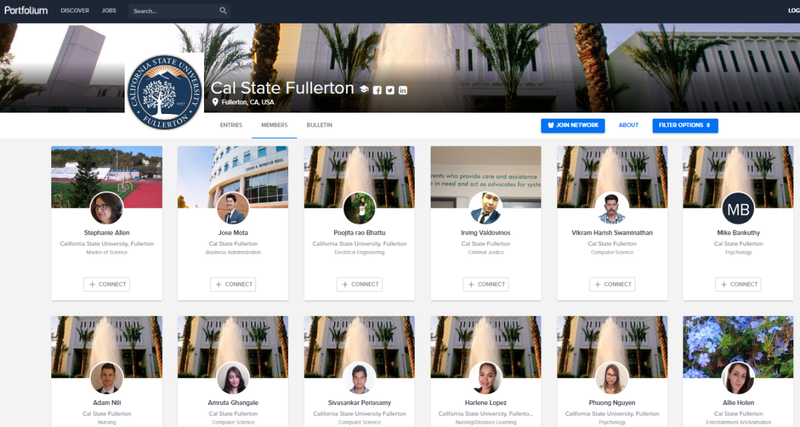 Portfolium offers an online community for the Cal State Fullerton family to connect and network. The site is open to all majors and offers a LinkedIn-style profile, as well as a space to upload school and work samples. Cal State Fullerton students and alumni have exclusive access to a career network known as Portfolium, which provides a forum for academic and work samples of Titans. Here are some tips on how to use the network for your career development. In 2015, the California State University network reached an agreement with Portfolium, a free digital profile platform, to provide an online professional development forum for students and alumni. With nearly 40,000 students and 215,000 alumni, Cal State Fullerton has a massive network across all major industries in Southern California and around the world. Here are seven things you should know about the Cal State Fullerton Portfolium network. You can upload your résumé, completed class assignments or internship projects. Matthew Sanchez ’12 (finance) encourages students to reach high to attain their dreams. “Don’t be afraid to take risks and be willing to work hard,” he says. 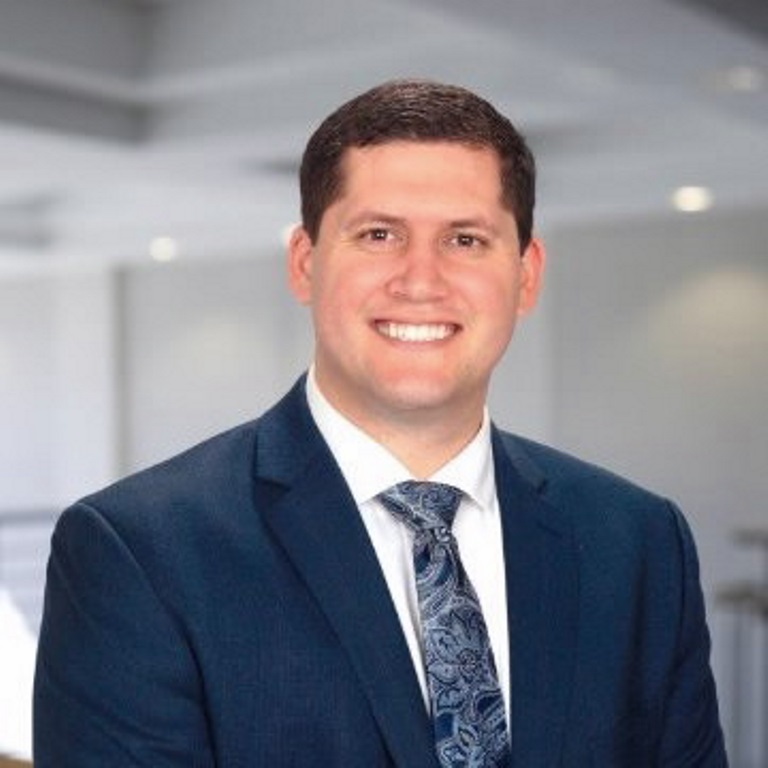 Matthew Sanchez ’12 (finance) has worked in the financial services industry for more than three years, including roles with Charles Schwab and T.D. Ameritrade in Southern California and Indiana. He discusses the industry, his career and his Mihaylo experience. Alumni of Mihaylo’s finance program work for some of the top names in the industry. In Southern California and across the country, Titans are developing themselves in the banking, investment and securities fields. One such alumnus is Matthew Sanchez ’12 (finance), who is a senior investment consultant with online broker T.D. Ameritrade in Indianapolis, Indiana. He discusses his current position, careers in the investment industry and his experience at Cal State Fullerton. What would you like students to know about careers in investment consulting? There are 18 active clubs listed on the website of the Business Inter-Club Council, which provides a gateway for Mihaylo students to get involved in extracurricular activities. Club involvement is a great way to network and become integrated on campus. Transfer students often have greater familiarity with the higher education system, but they also are more likely to work full-time and have challenges in graduating on time. Here are five tips for transfer students to help them make the most of their Cal State Fullerton experience. Cal State Fullerton is a lot different from the community college you are used to. The opportunities for career networking, student activities and academic development are a step ahead of the junior college experience, but course assignments, degree requirements and the sheer size of campus can be daunting. 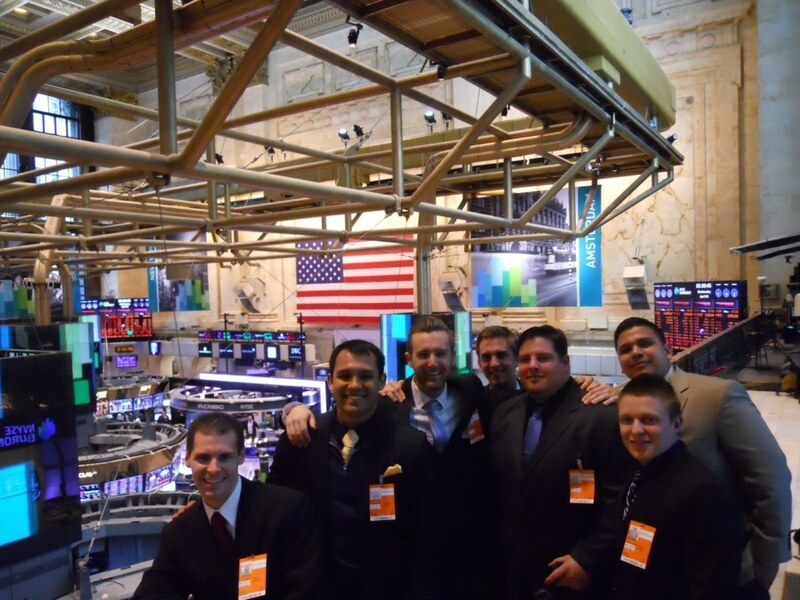 Mihaylo ASAP students at the New York Stock Exchange. The program tasks students with managing an actual investment portfolio and provides professional development opportunities, such as this trip to New York City. The two-semester Applied Securities Analysis Program (ASAP) lets finance students manage an actual investment portfolio, giving them the skills required to work for the world’s leading financial firms. Mihaylo Finance Lecturers Michael Milligan and Marcia Clark discuss the future of the program, the new trading lab coming this spring and the program’s impact on students. During last academic year, the ASAP program helped eight students find employment at financial firms, while seven received scholarships to help them further their academic objectives. The program provided $7,500 to the Mihaylo Tutoring Center from its investment returns, the largest donation to date. The Titan Student Union (TSU) now has 27,000 square feet of new space for students to study and recharge. The new wing will officially open to the Cal State Fullerton community on Thursday, Oct. 20, with a grand opening celebration. Join students, faculty, staff and alumni at the TSU this Thursday to celebrate the opening of the new wing, which features study areas, an expanded pizza restaurant and glass-enclosed meeting facilities. Finished months ahead of schedule, the construction project has been completed with sustainability in mind, with energy-efficient lighting and water-conserving plumbing systems. Boasting orange furniture with power connections, an outdoor terrace with fire pits, plans for a new Starbuck’s, and hip airy architecture, the expanded TSU is likely to become the new hub of extracurricular activity on campus. The grand opening celebration will began at 1 p.m. with free food and music. A ribbon-cutting ceremony featuring President Mildred García and ASI officials will occur at 2 p.m. There will be activities with prizes on every floor. Home to study areas, computer labs, the food court, and meeting spaces for special events and student clubs, the TSU has served the Cal State Fullerton community since 1976. The last significant expansion project was completed in 1992. The latest addition is designed to accommodate the university’s current student population of around 40,000. For more information, contact Associated Students Inc. (ASI) at 657-278-7739. An overview of the construction project is available online. 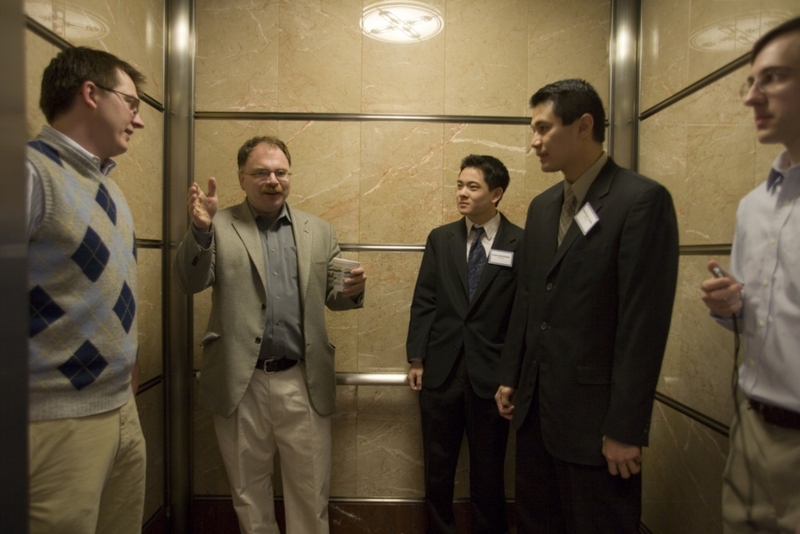 The 60-second elevator pitch is invaluable in taking your startup idea to the next level. Local high school and college students will pitch their ideas before industry professionals at the Titan Fast Pitch Competition on Oct. 29. Photo from Wikimedia Commons. Southern California high school and college students will compete for scholarships while pitching innovative business concepts at the annual Titan Fast Pitch Competition on Oct. 29. Got an idea you would like to pitch? 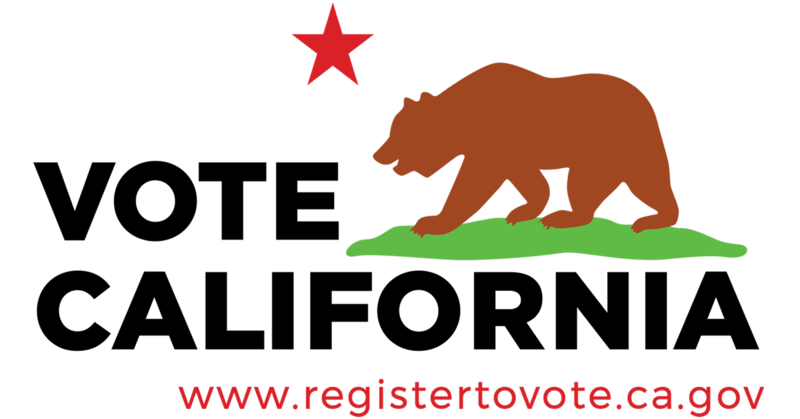 Register today. Imagine meeting one of the world’s leading billionaire venture capitalists in a hotel elevator in Silicon Valley. You only have 60 seconds to share your concept for a new mobile phone app. Pitching your idea effectively could be your opportunity to take your plan from dream to reality. For Southern California high school and college students, perfecting an elevator pitch at the annual Titan Fast Pitch competition can be the first step toward getting an innovative business concept off the ground. This year, pitches will be evaluated by business professionals including entrepreneur Dan Black ’67 (physics); Karl Freels of the Dan Black Family Trust; Ash Kumra, co-founder and CEO of Youngry; Wells Fargo Community Outreach Financial Educator Alicia Lopez; David Morris, executive vice president and chief financial officer at Royal Business Bank; Michael Sawitz, founder and CEO of FastStart Studio; and Anaheim entrepreneur Bill Taormina. The presidential election is just four weeks away. Regardless of your political views, here are six things all Titans should know about voting this year. With unprecedented media coverage, the twists and turns of the 2016 presidential election cycle have been hard to miss. Generations from now, political scientists and historians are likely to remember this year for Donald Trump’s unlikely rise to GOP candidacy, the surprisingly close Hillary Clinton and Bernie Sanders contest for the Democratic nomination, and other high points (and low points). The steep Andes Mountains hide one of the world’s historic wonders: the Pre-Columbian Incan fortress of Machu Picchu. 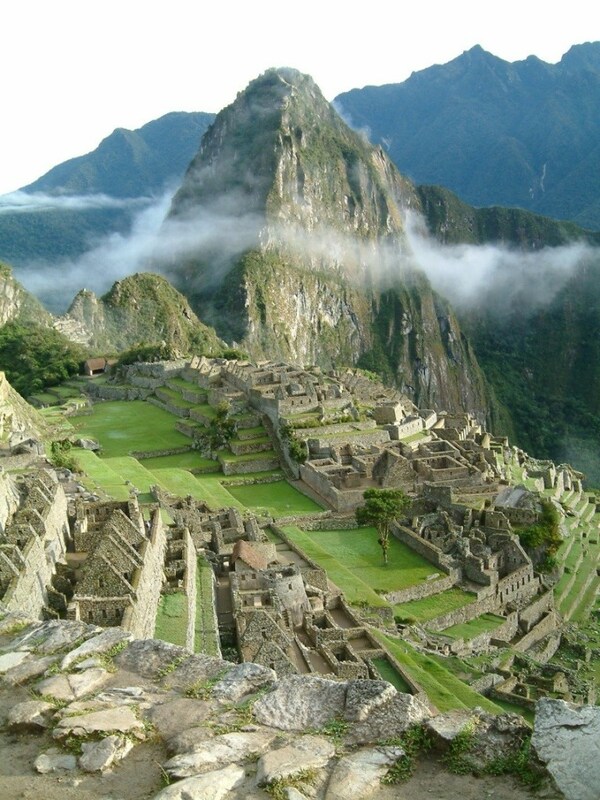 Mihaylo students will have the opportunity to visit the ruins during the study abroad trip in Peru this January. Photo from Wikimedia Commons. Explore Peru while satisfying your information systems course requirement in a weeklong ISDS study abroad trip in Peru this January. Applications are available through Oct. 15. Nearly 8,000 feet high in the rugged Andes Mountains lies the ancient Inca citadel of Machu Picchu. Built in the 15th century, this UNESCO World Heritage Site was made with ancient construction technology that was generations ahead of its time. In recent years, the site has become popular with historians and tourists who seek to better understand the advanced Pre-Columbian civilizations that once inhabited the Americas. Mihaylo students of all concentrations have the opportunity to explore Machu Picchu as part of a study abroad program through the ISDS Department in January 2017. While in Peru, students will complete ISDS 351: Principles of Information Systems, a requirement for all Mihaylo students. A study abroad program focusing on information systems, yet including an optional excursion to one of the world’s most famous ancient monuments, explores the contrast between the ancient and modern in today’s Latin America. Traditionally dependent on agriculture, light manufacturing and tourism, Latin American economies are diversifying to include a robust information technology sector. Students will witness firsthand the impact of the IT sector on Peru’s economy, exploring how managers adopt the latest technology to power their businesses to compete in the global economy. Participants will study with Mihaylo ISDS Professor Ester Gonzalez, who has conducted research on the impact of social media technologies and knowledge management systems in organizations worldwide. The application deadline for the Peru trip is Oct. 15. The application fee is $2,000, which covers hotel and residence hall lodging, most meals, ground transportation and program fees. Airfare and the cost of intersession coursework are not included. There is also an extra fee for the Machu Picchu excursion. For more information, contact Mihaylo Global Initiatives at mihayloglobal@fullerton.edu or director Chris Swarat at cswarat@fullerton.edu. Should You Take Classes This Intersession? Taking a course during intersession is a good way to stay on track for graduation or explore a subject you’ve always been interested in. Student registration dates for the 2016-2017 intersession have been assigned for Oct. 17 to 19. Should you take courses during winter break? Here are five things every student should know about intersession. Cal State Fullerton students mark the third week of December in their calendars as final exam week. After completing their final tests and papers, they are off for five weeks until the start of the spring semester. But for some students, the winter intersession is a perfect time to concentrate on a course they need to pass in order to graduate on time. This year, more than 100 courses, including prerequisites for business concentrations and general education courses, will be offered through CSUF Extended Education during the winter break. Individual registration dates and times are available on Titan Online on your student portal. 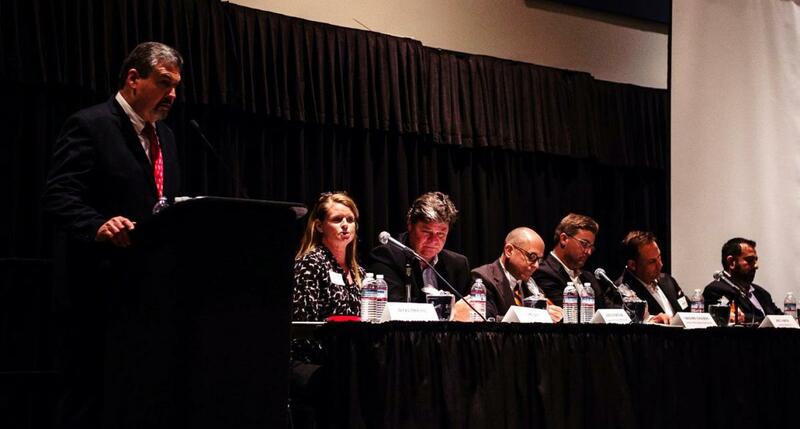 Panelists from major accounting firms discussed tips on how to grow your career at the Accounting Expo on Sept. 13. The event was co-sponsored by the Department of Accounting and Mihaylo Career Services. From Big Four accounting firms to small startups, accounting employs millions of Americans. Jobs in this field have high income potential and the American Institute of CPAs has reported that there is strong demand for accounting graduates. Here is a look at how you can leverage campus resources to get started on an accounting career. How would you like a rewarding, secure and lucrative career in a growing field? You may well get your wish if you pursue a career in accounting. According to the American Institute of CPAs, a record 43,252 new graduates were hired by CPA firms in 2014, the latest year statistics were available. The 2015 report also noted that 97% of bachelor’s programs and 70% of master’s programs in accounting expect their enrollment to be the same or higher than the previous year. 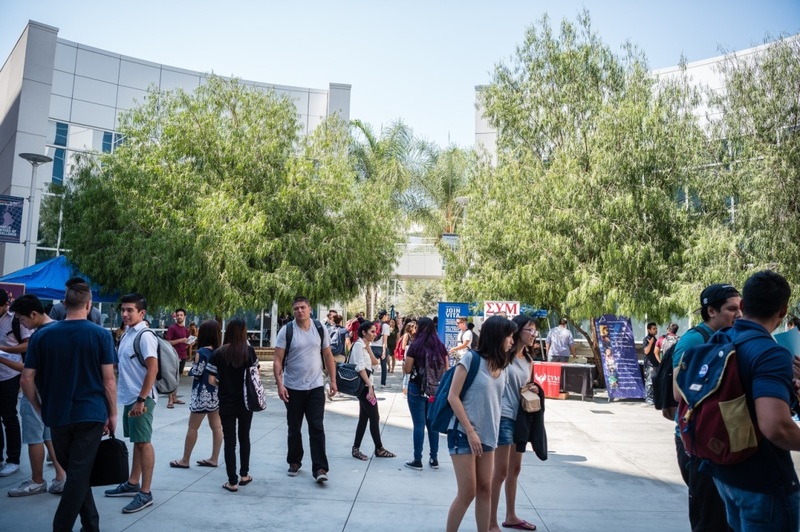 More than 700 Cal State Fullerton students attended the Accounting Expo earlier this month. The event, sponsored by Mihaylo’s Department of Accounting and Mihaylo Career Services, featured a discussion with industry executives, career preparation advice from accounting professionals and a review of career paths. Panelists included executives from major firms – Deloitte, Ernst & Young, Grant Thornton, HCVT, KPMG, Moss Adams, PricewaterhouseCoopers, RSM US LLP and White Nelson Diehl Evans – and officials from state and federal agencies. In addition to the Accounting Expo, there are many events and activities on campus designed to connect students with careers in accounting. 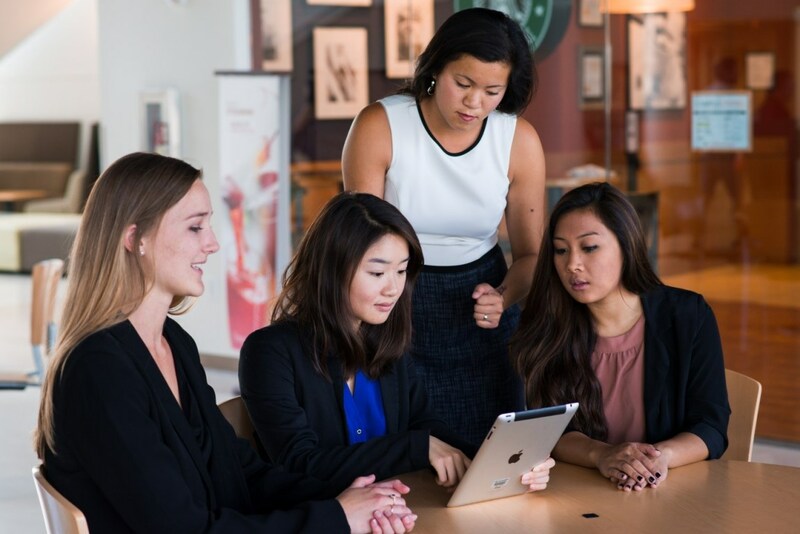 The Accounting Society, which claims to be the largest student organization on campus, hosts networking and professional engagement events and, together with Beta Alpha Psi, works with industry recruiters to connect students with careers. Both clubs are open to students of all majors. The Department of Accounting also hosts events, provides information on undergraduate and graduate accounting degree programs and offers career guidance. For more information, visit them at SGMH 4313 or online. Regardless of what career calls you, Mihaylo Career Services is available for advice and professional development. This semester, their walk-in hours for advising are 11 a.m. to 2 p.m. on Mondays, Tuesdays, Wednesdays and Fridays and 2 to 6 p.m. on Thursdays.